You Me At Six, the British rock band, is opening a vegan pop-up called You Me At Shish for one night only on Friday 5th October 2018, to promote their new album VI. It's in partnership with Temple of Seitan, the Hackney-based 'vegan chicken restaurant'; Temple of Seitan will be doing the food while the band does the misic (presumably), and the night will include a live accoustic set, and the chance to meet the band and buy exclusive merchandise. This will obviously be very busy - they can sell out good-sized venues - so go early and be prepared to queue. 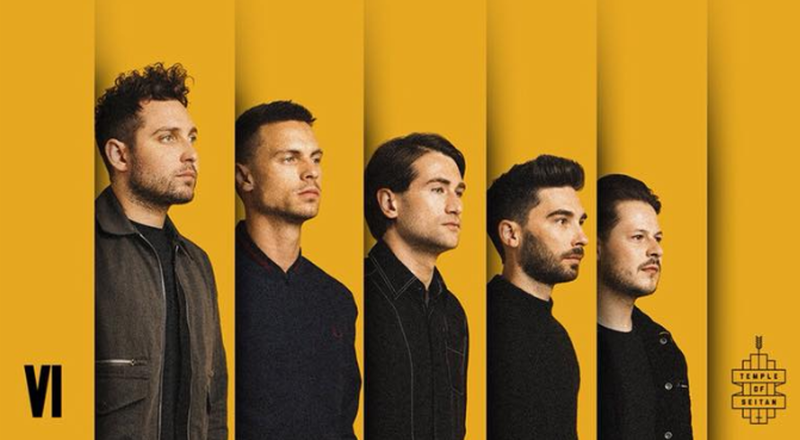 "You Me At Six teamed up with vegan fast-food business Temple Of Seitan to host a one-off vegan pop-up restaurant event to celebrate the release of their brand new album. The vegan kebab pop-up will open its doors at 6pm at Temple Goods Cafe in Hackney Downs Studios and will offer a special ‘VI’-themed menu, which will also include ‘VI’-themed cocktails. Not only will there be plenty of tasty food to tuck into, there will also be an acoustic set from the band at 7pm, followed by DJ sets into the evening. Fans of both the band and vegan kebabs can show up to this one-night only event where they will be able to meet You Me At Six, buy the album, get exclusive merch and, of course, sample the You Me At Shish menu."